1: Big Bad Baby (3:54) Rating: 5 Lyrics by: Matthew Cramer Record date: 06/12/2010 DDD digital multitrack recording by Brian McNally Copyright © 2010 The Sheep Fiends Foundation. 2: The Lonely Twin (4:56) Rating: 5 Lyrics by: Brian McNally Record date: 06/12/2010 DDD digital multitrack recording by Brian McNally Copyright © 2010 The Sheep Fiends Foundation. 3: The Road (5:45) Rating: 5 Lyrics by: MX Skroch Record date: 06/12/2010 DDD digital multitrack recording by MX Skroch Copyright © 2010 The Sheep Fiends Foundation. 4: Drill, Baby, Drill (3:57) Rating: 4 Lyrics by: Brian Cameron Record date: 06/12/2010 DDD digital multitrack recording by Brian McNally Copyright © 2010 The Sheep Fiends Foundation. 5: Still Loving You (Dream Sequence) (2:27) Rating: 3 Copyright: © The Scorpions Record date: 06/12/2010 Also appears on: Recover DDD digital multitrack recording by MX Skroch Copyright © 2010 The Sheep Fiends Foundation. 6: Eyes Wide Like Saucers (10:05) Rating: 5 Lyrics by: Matthew Cramer Record date: 06/12/2010 DDD digital multitrack recording by MX Skroch Copyright © 2010 The Sheep Fiends Foundation. 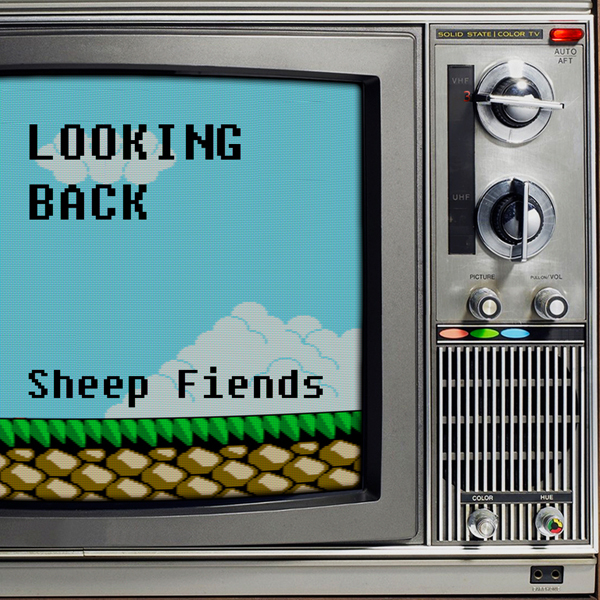 7: Looking Back (4:38) Rating: 4 Lyrics by: MX Skroch Record date: 06/12/2010 DDD digital multitrack recording by MX Skroch Copyright © 2010 The Sheep Fiends Foundation. 8: Dirge, Baby, Dirge (1:39) Rating: 3 Record date: 06/12/2010 DDD digital multitrack recording by MX Skroch Copyright © 2010 The Sheep Fiends Foundation. 9: Quimby (6:39) Rating: 4 Lyrics by: Brian McNally Record date: 06/12/2010 DDD digital multitrack recording by Brian McNally Copyright © 2010 The Sheep Fiends Foundation. 10: Through The Ice (5:24) Rating: 4 Lyrics by: MX Skroch Record date: 06/12/2010 DDD digital multitrack recording by Brian McNally Copyright © 2010 The Sheep Fiends Foundation. 11: Still Loving You (5:16) Rating: 5 Copyright: © The Scorpions Lyrics by: The Scorpions Record date: 06/12/2010 DDD digital multitrack recording by MX Skroch Copyright © 2010 The Sheep Fiends Foundation. 12: Smallroom (5:29) Rating: 4 Lyrics by: Matthew Cramer Record date: 06/12/2010 DDD digital multitrack recording by Brian McNally Copyright © 2010 The Sheep Fiends Foundation. Note: The drums were originally recorded by Joel Reese, but they were not recorded, so the drums on this track were overdubbed. 13: T-Shirt Rock (2:51) Rating: 3 Lyrics by: MX Skroch Record date: 06/12/2010 DDD digital multitrack recording by MX Skroch Copyright © 2010 The Sheep Fiends Foundation.